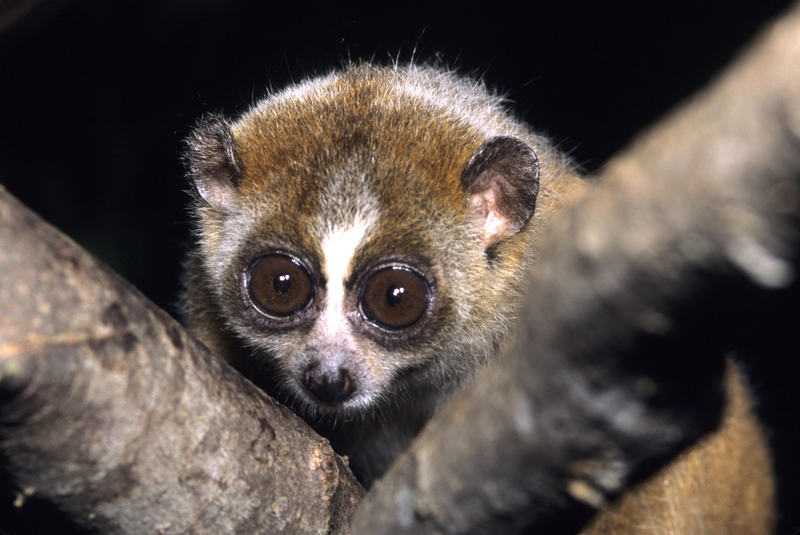 Slow Lorises are nocturnal primates who use their big, brown, Bambi eyes to find insects and fruit in the rainforests of south and southeast Asia. There are at least 8 species all belonging to a genus called Nycticebus, which means "night monkey". They are indeed rather slow and deliberate as they travel through the canopy, but they're not monkeys. Instead, they belong to the group of primates that includes lemurs, bushbabies and several other cute and fluffy prosimians. No bald-faced gremlins here! Image: Nekaris, K. A. I.; Moore, R. S.; Rode, E.; Fry, B. G.
They hold their wee little hands above their soft puffy head! Wouldn't a ravenous leopard's heart just melt at the sight of it? No. Which is why the Slow Loris is actually preparing a venomous attack. Glands near their elbows secrete a kind of poison. It doesn't pose a predator any problems at first, but when the Slow Loris licks those glands the secretions get mixed with her saliva and the poison is activated. It's a kind of "just add water" toxin. Very convenient! Now our Slow Loris need only bite the predator with her sharp teeth and let the toxin do its work. It isn't particularly lethal but it makes the wound take longer to heel and humans who happen to be allergic can suffer from all sorts of problems, possibly even death. The toxin also repels attackers, perhaps because of its smell or taste. 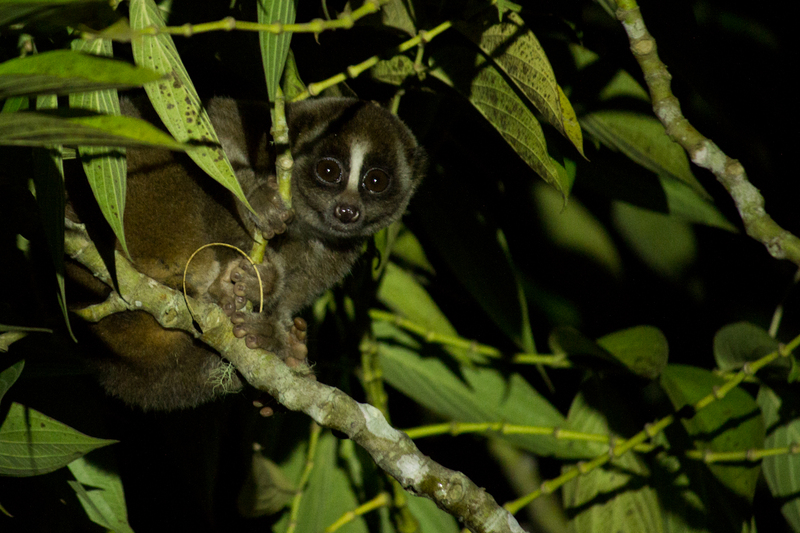 Adult Slow Lorises who need to leave their young behind to forage will first smother their baby's fur in toxic saliva, thus protecting them from predators. Nothing says "I love you" like toxic spit-kisses. It's time for the tiny eyes! Soricidae is a family containing over 300 species of small mammals that look like mice with extra-pointy noses. They're extremely active and very, very hungry. Most of them have poor eyesight and rummage around in the undergrowth using smell and touch to find insects, worms and seeds to feed on. Some even use echolocation! They squeak into the darkness and listen out for the echo as the sound waves bounce off objects in the environment. It's not precise enough to find prey, but they can at least understand what kind of habitat they're in. A few shrews, such as the Northern Short-tailed Shrew, are also venomous. The toxin is produced in glands that open out to the lower incisors (front teeth). 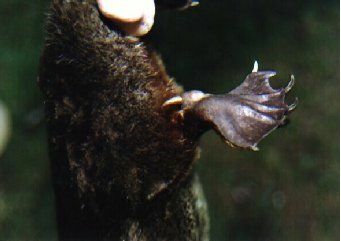 The two incisors form a groove along which the toxic saliva travels before seeping into whatever the shrew is biting. For humans, it hurts and there might be some swelling. Or they may be allergic and get more severe symptoms. For anything about the same size as the shrew, the effect is more like paralysis or death. That's great for the shrew! They really are ever so hungry. An animal the same size as themselves may not even be enough to satisfy them for that one day. Hey! Isn't that a big, ugly shrew who woke up on the wrong side of bed this morning, rolled down a hill and landed in a haystack? Yes... pretty much. 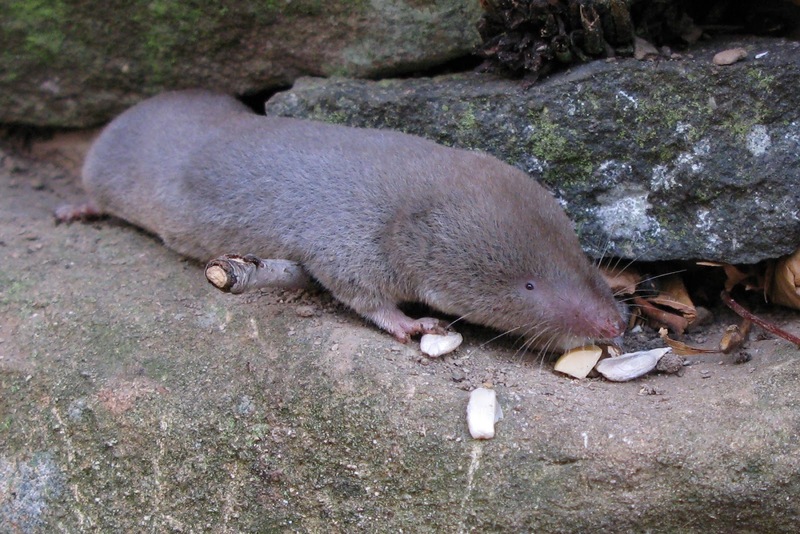 Solenodons are related to shrews but are rather more ancient, bearing several similarities to mammals that existed when the dinosaurs went extinct. So I guess Solenodons are more like the shrew's embarrassing uncle. Solenodons are also much bigger, about 30 cm (a foot) long not including a bald, rat-like tail that's almost as long as the rest of the body. Charming, aren't they? Like shrews they rummage around in the woods, digging up soil and cracking open logs in their search for insects, worms and the odd vegetable. They're nocturnal and use their keen senses of smell and hearing rather than their puny eyes. When they find something tasty, they bite down and venomous saliva pours from their lower incisors. This time the actual incisors are grooved, rather than forming a groove between them. Indeed, Solenodon actually means "grooved teeth". It's not quite the refined canals found in snake and spider fangs but it's about as close as any mammal gets. There are just two species of Solendon left today, the Cuban one and the Hispaniolan one. For a while it was thought the Cuban Solenodon had gone extinct before it was rediscovered in the 70's. A second species from Hispaniola actually did go extinct after the Europeans arrived and fossils suggest the Cuban one once lived in North America. Today, they've been beaten back to just two small islands. 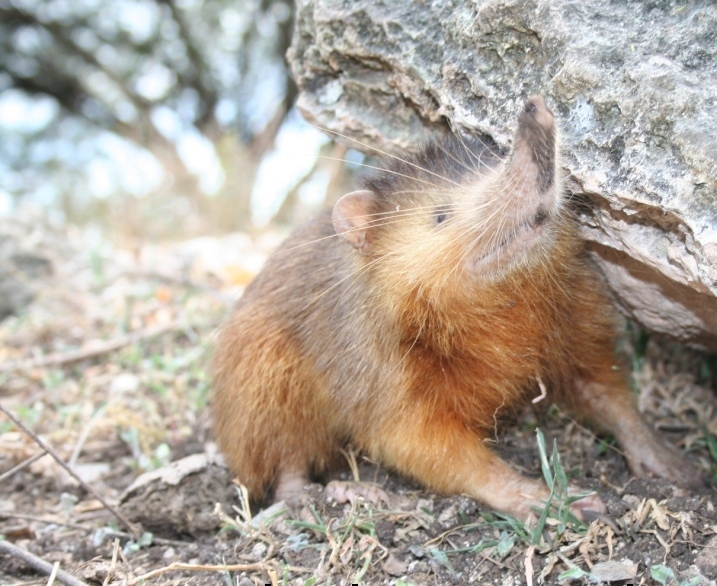 It would be a tragedy to loose them; the Hispaniola Solenodon has a ball-and-socket joint in its nose! The world NEEDS this! Are moles venomous? MOLES? 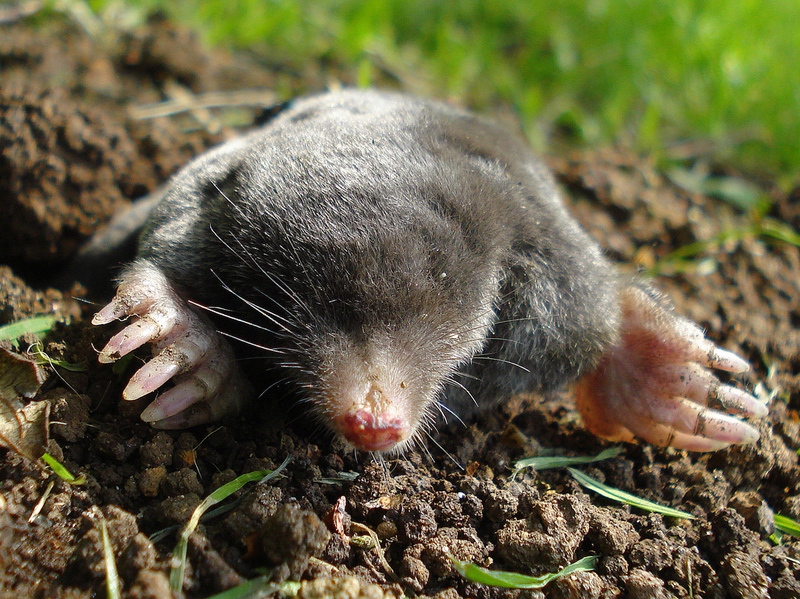 At least some people think the European Mole uses venomous saliva to paralyse worms so it can carry their living but unmoving bodies to a larder, where they'll stay fresh and distressed until the mole has a mind to eat them. That's a horror movie right there. Also, moles, shrews and solenodons all belong to the Soricomorpha family so perhaps it wouldn't be surprising if a few moles shared in the venom and not just the tiny eyes. Platypus means "flat footed", which is odd because the shape of their feet is certainly not the most significant thing about them. It's an otter with a duck's bill and a beaver's tail and they're looking at the feet? That's like if a flying monkey messenger delivered to you a death threat from your family doctor and you read it and the main thing you remembered about the day is that your doctor misspelled "your". 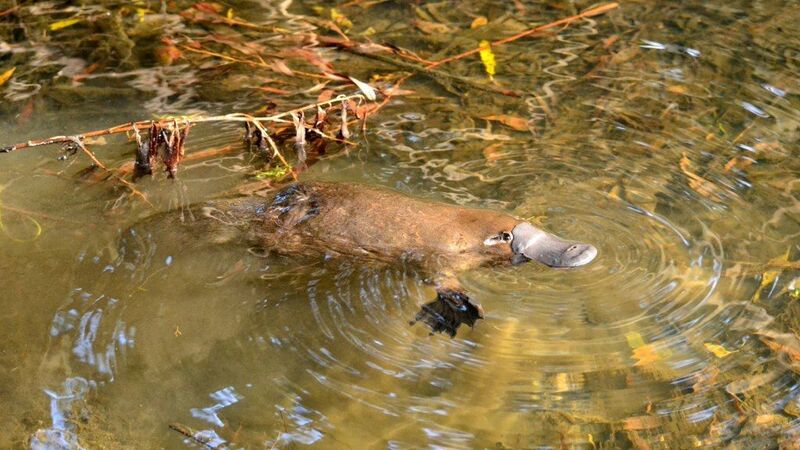 The more you know about the Platypus, the weirder it gets. That extraordinary, rubbery bill of theirs is covered in electroreceptors which allow it to detect the electric fields produced by worms, crustaceans and other small animals. This is good since the Platypus does all its hunting underwater, mostly at night and always with its eyes and ears tightly shut. Electroreception is common among fish, but it's almost unheard of in mammals. Then of course there's the curious fact that the Platypus lays leathery eggs like a reptile. Mother Platypus also produces milk, but she has no teats. The milk just comes out of pores in her skin and settles in groove on her body so her babies can lap it up. I'm pretty sure that's disgusting. Finally, there are the spurs. Males are armed with a pair of sharp spikes, one on each heel. These things are about 1.5 cm (0.6 in) long and are quite manoeuvrable. They're also attached to a venom gland and the venom is perhaps the most potent in the mammal world. It can kill a dog! It's not lethal to humans, but it causes excruciating pain followed by an increased sensitivity to pain which can sometimes last for months. Also they have flat feet. 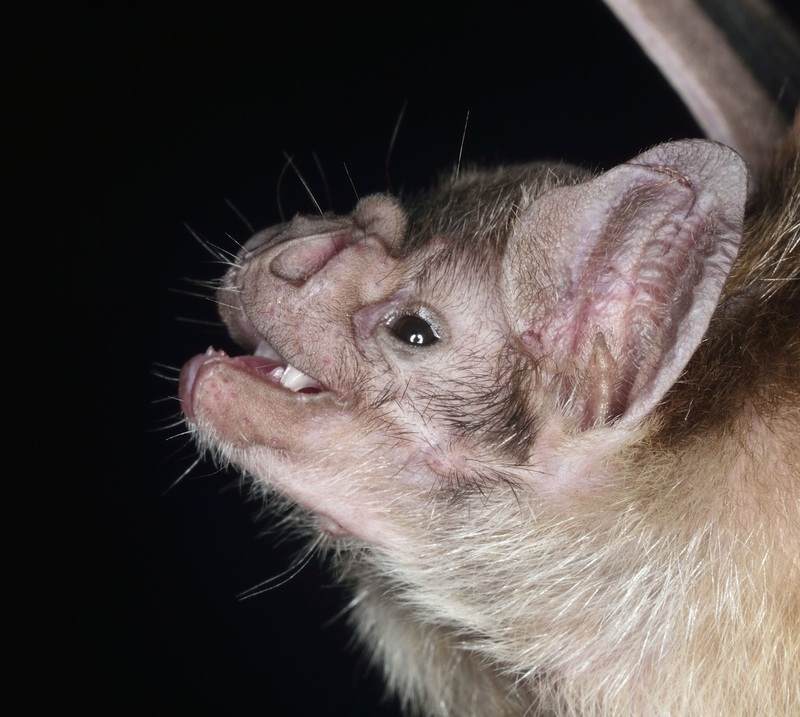 The three species of Vampire Bat all come from Central and South America where they use a host of special adaptations to drink other people's blood and get away with it. Their vision seems to be pretty good but their hearing is even better, and the sound of a sleeping mammal or bird is sweetness to their ears. After locating a host while in flight, the Vampire Bat drops to the ground not far from their prize. They sort of jump and bound across the floor and approach their quarry on foot. That's cool, a lot of bats can scarcely walk at all. Next, they climb onto the heaving mass of flesh and look for an area where the blood is close to the surface. Vampire Bats are able to detect infrared radiation such as that given off by warm blood. They use their sharp, sticky-out front teeth to cut the skin of their host. Here's where the venom comes in, or rather goes into the open wound. The Vampire Bat's saliva contains anticoagulants that ensure the blood keeps flowing. It's a non-violent use of venom. Still gory, but not exactly violent. Once the Vampire has had her fill, she flies off home back to her friends and family in the dark, foreboding place from whence she came. Vampire Bats need to drink blood at least once every two days else they starve. A hungry Vampire will beg from her neighbour, who may well regurgitate a bit of blood to tide her over. Nothing says "I love you" like regurgitated blood. Yay! You finally got to the poisonous lemurs! But oh GOD! There are more poisonous mammals in the world than I thought there were. We must prepare for the day of the Molemen! Also, the ball-and-socket jointed nose pit is quite interesting. must be quite useful for sniffing in hard to reach places. With the Slow Loris it's almost like the most non-threatening hug gesture ever! @TexWisGirl: Poisonous elbows has to be one of the weirdest things I've ever heard of! @Porakiya Draekojin: It was a cool idea, I'm glad you liked it! I'm sure the nose joint is tremendously useful and pragmatic but I mostly love it because it's simply so wacky! @Lear's Fool: I know! It seems like a really bad way of warning people about what they're about to do. Can we reintroduce Cuban solenodons to North America?